NWOBHM legends SATAN have announced they will team up with Retribution Alive to celebrate their fifth anniversary of blasting Metal through all corners of the capital. The very special event will take place at The Lounge, newly re-housed right next to Camden Town tube station on Saturday November 24, 2018. Earlier this month Metal Blade Records released Cruel Magic, the critically acclaimed new studio album. For a preview head over to: www.youtube.com/watch?v=2CcdlxBPyYk “Death Knell For A King”! 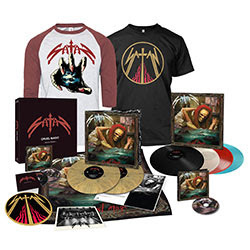 While Bearers of the NWOBHM movement and responsible for ’83’s seminal Court In the Act and ’87’s Suspended Sentence, Satan make it abundantly clear with their upcoming new album that in 2018, they are not interested in simply capitalizing on past glories. Comprised of 10 tracks of searing metal, it is blatantly and profoundly the work of the Newcastle upon Tyne natives at their very best, infusing their signature sound with a more raw, wild and spontaneous vibe than they showcased on 2015’s mighty Atom By Atom – and in the process, displaying more passion and energy than slews of bands half their age. 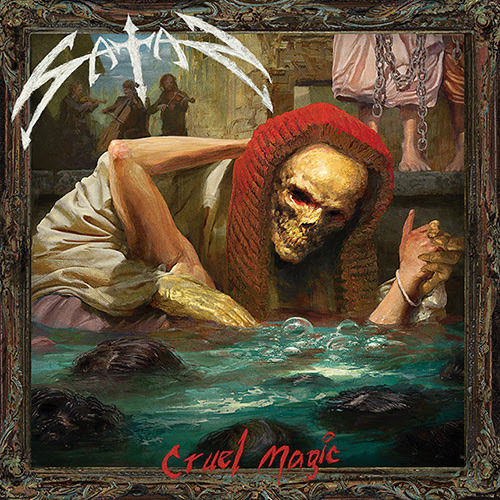 Saturday 24th November marks a special day for Retribution Alive and we have SATAN along for the party, fresh from releasing new album ‘Cruel Magic’! Five years ago we started as a DJ night upstairs at our legendary, original home, the Intrepid Fox near Tottenham Court road near the West End. Since then we have traveled to various venues across London including The Lounge (Archway), Purple Turtle, Black Heart, The Dev, Electrowerktz, Unicorn, Nambucca, Underdog Gallery, Big Red, Scala, 12 Bar, New Cross Inn, Fiddlers Elbow, Amersham Arms, Wig & Gown, Amwell Arms, Upstairs @ The Garage, Kings Arms (Bexleyheath) and the Plough & Harrow (Leytonstone), bringing you a mix of bands and DJs every month. BUT… there could be only one place we hold such a commemoration and that is The Lounge in Camden, run by Arno, one of the notorious crew who manned the Fox right back at our wretched, stinking birth. To mark the occasion we take over the WHOLE venue with SATAN, 3 support acts (TBC) and a 2 floor after show / club night running until 3am.